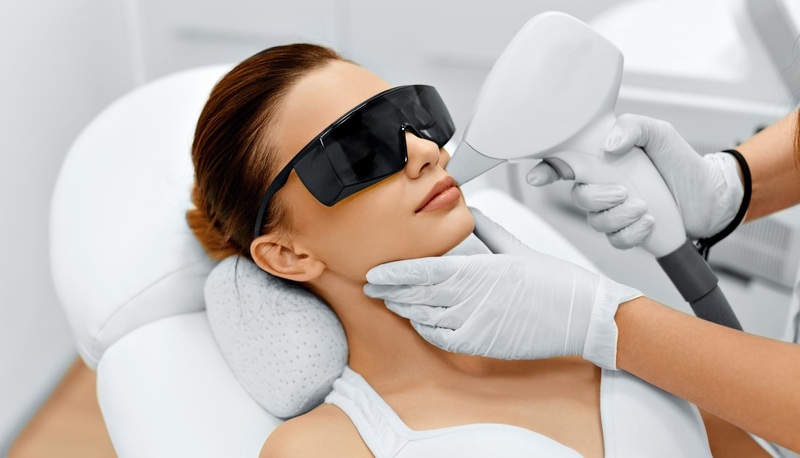 Laser Hair Removal Toronto – How Many Treatments Are Needed? Laser Hair Removal removes unwanted hair by targeting and damaging the root of the hair follicle. The laser itself is attracted to pigment and color. Assuming there is a good contrast between the skin and the hair; laser hair removal damages the root of the hair and leaves behind a small stem thus preventing hair growth. There are 3 stages of hair growth, the growing stage, known as Anagen, the transitional stage, known as Catagen and finally the resting stage, known as Telogen. Laser Hair Removal will only work on hair that is actively growing. The goal is to be able to attack the active stage of hair growth (anagen stage), which is when the hair follicle has a full root. Most patients receive 6-8 treatments spaced 8 weeks apart. Visible results are seen after each treatment and the numbers of hair follicles are reduced after each laser hair removal session. Two to three weeks after laser hair removal, it will appear as though the hairs are growing; however the skin is actually purging the hair follicle. Each treatment will reduce the number of hair follicles and the reduction rate is usually 80-90%. The actual number of treatments needed for each patient will depend on the assessments of the patient. The number of treatments required will also depend on a few factors such as: hair color, hair thickness, skin color, and hormones. The face, underarms and bikini have a much more rapid growth cycle than other areas like the arms, legs, chest and back. Occasional treatments for touch ups may be required for maintenance. For more information on Laser Hair Removal, visit https://www.lastinglooks.ca/laser-hair-removal-toronto at Lasting Looks Clinic in Toronto.